Warning: This post contains ranting and may make the reader judge the writer as miserable and ungrateful! Some days it feels like I say it hundreds of times and it gets so dull. Please let me stress that I am eternally grateful for all the help I receive and I couldn’t manage work without the kindness of my colleagues but those two little words, or variations thereof, get on my nerves. The other day I was in the underground car park at work, struggling with the hoist that gets my scooter out of the car. A cyclist came to my aid and closed my boot for me, “thank you” I said as I slumped down on my seat and fiddled with the controls. Opening the door from the car park requires nifty driving, controlling the accelerator with the wrong hand while I heave the door with the other so when the cyclist waited and held the door open for me it made everything so much easier. “Thank you” I said, then again when he called the lift and waited patiently whilst I drove in and again whilst he got out at my floor to let me out. I sound so ungrateful but this dance of help and thanks goes on all day long. People getting files down for me or fetching documents from the printer, holding more doors open or helping me get the scooter back in the car at the end of the day. I’d be exhausted by 9.30 if people didn’t help me but I sometimes wish I could say something different to show my appreciation. You can imagine my delight last night when my Spanish students helped clear up after dinner! I had a field day with “gracias” and threw in a “merci” as well for good measure! 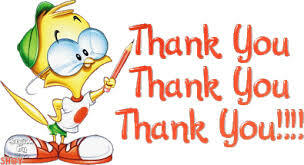 I have to say “thank you” as I don’t want to appear rude or ungrateful and people like to help so I’ll just have to think of alternatives in my head to amuse myself. If you see me smiling to myself as I say it that’ll be why! 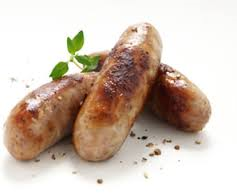 Anyway, rant over, sausages for listening. ← Can Do Holidays ……………. I forgot about sorry when I was writing it but sorry and thanks go hand in hand don’t they! Found your blog via a twitter search. I’m glad I did!